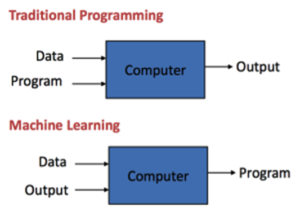 Machine learning is a computer-based discipline where algorithms “learn” from underlying data sets instead of following traditional pre-programmed instructions. This means that the algorithms use existing data to build and constantly refine models to make predictions on various outcomes. The world of data has been changing a lot in the last few years and retailers and wholesalers are challenged by the increasing scale, complexity, and diversity of the data that is currently available. The ability to leverage big data by using machine learning can give retailers and wholesalers a massive competitive advantage. The AGR architecture is designed in such a way that both external data sources and machine learning models can be added to your system which can give your company a great benefit. To get a better feeling on how the AGR architecture has been built, you can read our previous Featured Blog Friday here. This blog post is focused on helping you understand what machine learning is and how it can give your company a competitive edge. Instead of creating rules to automate a task, such as if a credit card transaction is fraudulent or not (fraud detection), data is fed to a machine learning algorithm, which figures out these rules. In traditional programming, you would have to write the set of rules, feed it to the computer together along with the data, and hopefully it will return the desired results. In machine learning, you take the data, such as a credit card transaction and the associated label/results (whether the credit card transactions are fraudulent or not) and feed it to a learning algorithm, which then uses computer power to train the algorithm. The machine learning model then learns a set of rules that you can use to automate your problem task. Imagine you are designing a program that could recognise animals. Without machine learning, you would have to write rules to distinguish different animals. For example, long tail, two eyes, four legs, short hair might be a cat, while long neck, four legs, two eyes, 32 teeth and yellow might be giraffe. It would take forever to include all of the animals you wanted the system to recognise. Employing machine learning, you would give the system a large number of images of the animals, labelled with what animal is on the pictures. By analysing the relationships between pixels and patterns in the pictures, a machine learning system would be able to set its own rules for how to identify animals. Machine learning model trained like this can be great at image recognition. 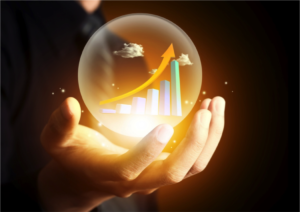 For retailers and wholesalers, prediction is the power to meet the customer‘s need by providing the right product, in the right place and at the right time and doing so by minimizing the manual input needed to make these predictions. An example of the massive benefits of machine learning algorithm is that 35% of what consumers purchase on Amazon and 75% of what they watch on Netflix come from product recommendations. Most retail company today collect endless streams of information about their customer: sales transactions, website traffic and demographic data. The great benefit of machine learning is that it can use structured and unstructured data from different data sources to minimize the „gut feeling“ decision-making process in businesses and saves a significant amount of time. Machine learning proves to consistently outperform human judgment decisions, by considering a multiplicity of factors that humans would not be able to. Trends and many other small factors, including things like whether the weather is affecting purchasing decisions, the customer interest in certain items on certain time of the day and days of the week, influence consumer purchasing habits. All these factors are fed into the machine learning algorithm which can learn how much weight it should give each factor and how it influences the results. Finding the right balance of human-based and machine-based approaches will offer businesses great benefits. Although machine learning touches on lot of different tasks throughout the supply chain, it is only part of the total supply chain planning solution, where for example optimization is required to determine the needed levels of safety stock and replenishment or needed transportation resources to fulfill that forecast demand. In the next Featured Blog Friday, an introduction to different recommender system techniques will be covered, where we will dig deeper into understanding how the algorithm works and what this means for your business.